We had so much fun getting to be a part of Danielle + Rob’s recent wedding day at the gorgeous Bok Tower Gardens in Lake Wales. Danielle + Rob planned a stunningly beautiful day that included one of the prettiest outdoor ceremonies we have been to recently. It was a perfect day for this sweet couple to celebrate their wedding, and we were honored to be there with them! Our Expert Photographer Courtney was there to document all the special moments from the day, and we love all the gorgeous images that she created. These are just a few of our favorites that we wanted to share! We love this fun picture of Danielle and her bridesmaids getting ready for the day! This was such an awesome group of friends, and we loved getting to spend time with them as they prepared for the wedding! Danielle looked simply stunning in her amazing wedding gown. We loved how classically romantic she looked! 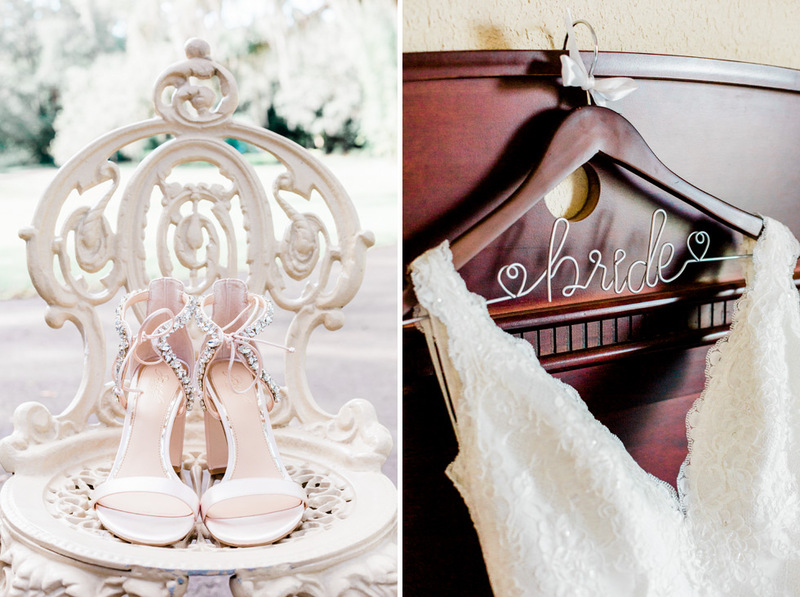 Danielle + Rob chose to do a first look at the Gardens before their wedding ceremony. 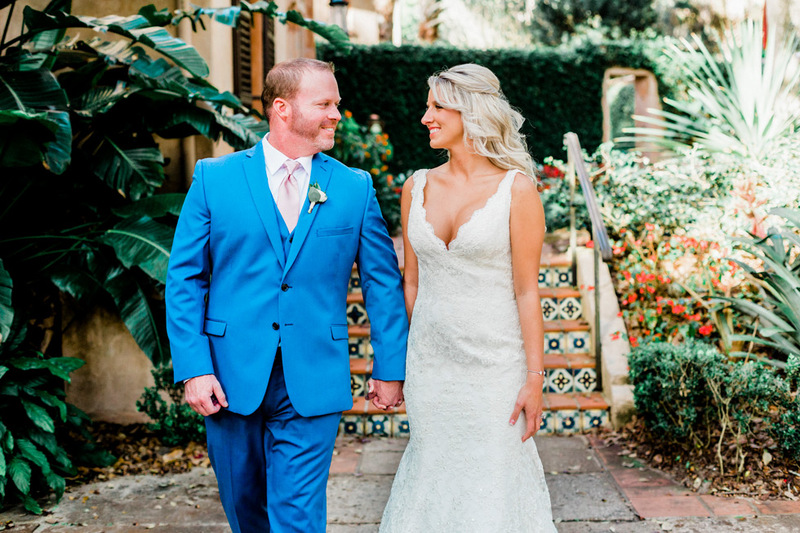 It’s always so much fun for us to get to witness the moment when our couples see each other for the first time on their wedding day, and we loved the sweet surprise that Danielle + Rob expressed when they saw each other! Danielle + Rob’s ceremony took place outside underneath the amazing oak trees that surround Bok Tower. It was a lovely ceremony, and it was so touching to see Danielle + Rob surrounded by the support of their family and friends on this special day. Immediately after the ceremony, we were able to spend a few moments with Danielle + Rob in order to create the first portraits of them together as husband and wife! 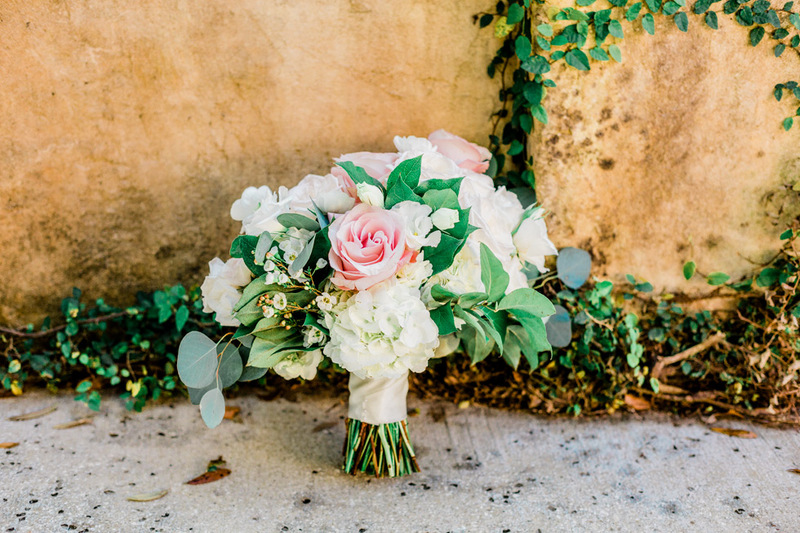 The gorgeous grounds of Bok Tower Gardens made the perfect backdrop, and we love each of these pictures! There’s so much love in the air between Danielle + Rob! 🙂 Danielle + Rob’s reception was held in the ballroom at Bok Tower Gardens, and it looked perfect for their celebration. We loved all the beautiful flowers and details that they chose to work into their reception decor – it made the space feel so elegant! Congratulations on your wedding, Danielle + Rob! Thank you for choosing us to share in this special day with you, and we wish you many years of happiness ahead!